Cost Monitor has provides a distribution list function where Purchase Orders, Correspondence and Variation submissions are broadcast not only to the required recipient (e.g contractor) but also to an additional list of recipients or CC’s. On the Contact Details tab of each Project is a Distribution list. Names and email addresses are entered here as a permanent resources for people who may wish to receive copies of submissions as they are formally broadcast. Enter your name and email address here if you want to be a part of the distribution list. Make your contact a primary contact if you wish to receive copies all submissions. If a contact is not marked as primary, you may still receive a submission by selection at the time of posting. Contacts marked as primary are pre-selected int eh distribution list of the purchase order or Correspondence. Other contacts may still be selected (ticked) for particular submissions. By including yourself in the CC list, a copy of the purchase order is delivered to your in-tray and becomes a permanent (dated) record of the order execution. 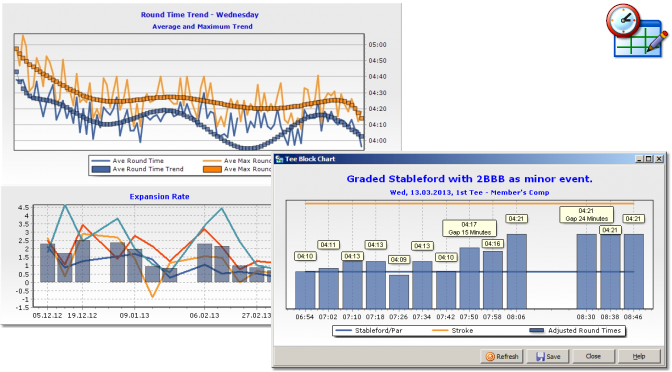 Recent observations have revealed a loss of corporate memory in how Cost Monitor billing is carried out. Please ensure that all billing (revenue/AR) billing is posted in TEMPLA using the Cost Monitor Master Workbill and NOT a workbill generated in the Purchase Order module for purchasing. Previously purchase orders could not be initiated until the project had been posted. From this point forward, purchase orders will be barred until the workbill number is retrieved (see above). 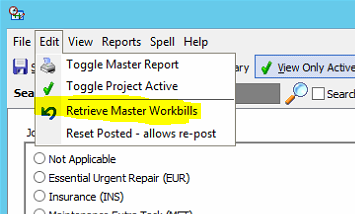 Normally, workbill numbers are retrieved during (as the first step in) project posting but workbill numbers can also be manually retrieved via the edit menu ‘Retrieve Master Workbills’. 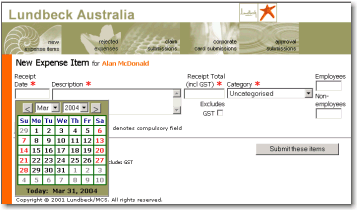 If, for any reason, the workbill generation process fails, the posting process can be attempted a second time by selecting the ‘Reset Posted – allows re-post’ menu option above. Please ensure no duplicate workbills exist in TEMPLA. forecast end costs are maintained. The forecast costs are what you, as project managers, need to think about and they show your knowledge of the job and your trusted expectation for the final financial result. When a purchase order is ‘posted’ by admins in the purchase order module, the value is inserted into the transaction register. 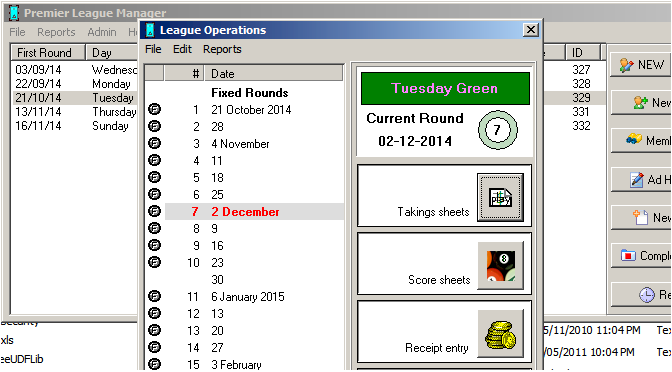 It’s posted as a ‘reconciled’ transaction (bold date) and as such, is not accidentally deleted by Project Officers. If it is ever deleted, the associated purchase order acquires a black bar meaning ‘no associated transaction’. When a TEMPLA workbill is retrieved from TEMPLA for the PO, the Order/Inv entry is updated to include the workbill number as well as the PO number e.g. CMP:45621-WB:112435 is both numbers, and the expenditure column acquires a blue bar. 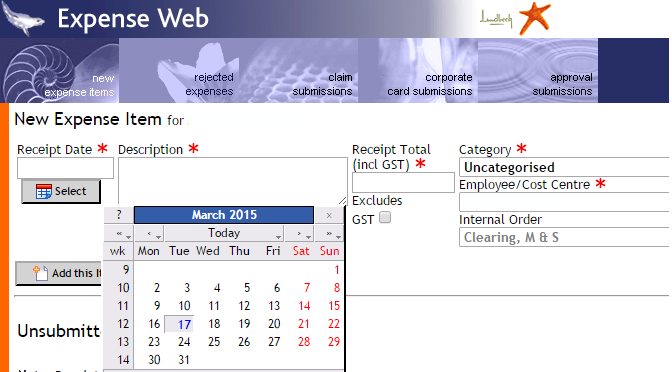 Right click on the order and select ‘Enter Invoice for PO’ to start recording an invoice against the PO. The amount, by default, is the full amount of the purchase order. But this amount can be edited to something less than the full amount. Subsequent invoices can be entered against the same purchase order when they are presented. Time now to re-assess the forecast cost for this work and add a line either reducing or increasing the forecast. It’s always better to add a line (either negative or positive) rather than edit the original forecast. 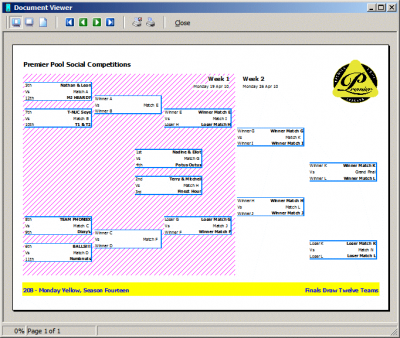 Each entry adds to the story and provides a way to annotate the adjustment. A recent Movie (“Lion”) told the story of a boy, separated from his mother for many years, who used Google Earth to locate her based on logic and vague memories. The story was also documented on Google Earth. In fact, Google Earth offers many opportunities to utilise regular map updates with overlays and integrated content. One such integration provides a highly accessible and easily maintainable as-built drawings set for work on a golf course re-development. The as-builts for Bonnie Doon Golf Club are currently up to date with the 3rd stage of works completed in April 2017. The video demonstration above offers a walk through of the drawing features. The interface provides a very accurate drawing of fixtures all set in relation with the underlying ground features. This makes it very fast to locate items like sprinkler heads and valves when they are often subject to being hidden in over growth. Power lines and main potable water lines are often ‘lost’ over the years when minor earthworks confuse the memory of where things used to be. The drawings are also easily maintainable and only require a normal revision status protocol to ensure all stakeholders are kept up to date with the latest drawings. 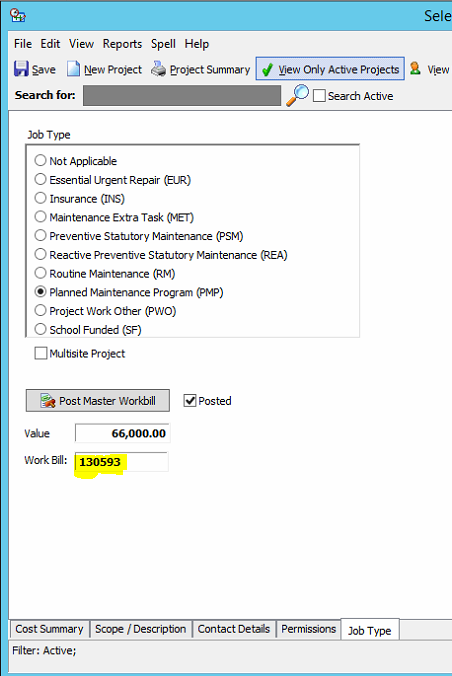 Cost Monitor can maintain a project’s billing history. The video below shows where to access the billing register and where the total billing is shown in the project summary list.